The study of the diverse environments, places, and spaces of the Earth’s surface and their interactions; it seeks to answer the questions of why things are as they are, where they are. The modern academic discipline of geography is rooted in ancient practice, concerned with the characteristics of places, in particular their natural environments and peoples, as well as the interrelations between the two. Its separate identity was first formulated and named some 2,000 years ago by the Greeks, whose geo and graphein were combined to mean “earth writing” or “earth description.” However, what we now understand as geography was elaborated before then, in the Arab world and elsewhere. Ptolemy, author of one of the discipline’s first books, Guide to Geography (2nd century ad), defined geography as “a representation in pictures of the whole known world together with the phenomena which are contained therein.” This expresses what many still consider geography’s essence—a description of the world using maps (and now also pictures, as in the kind of “popular geographies” exemplified by National Geographic Magazine)—but, as more was learned about the world, less could be mapped, and words were added to the pictures. To most people, geography means knowing where places are and what they are like. Discussion of an area’s geography usually refers to its topography—its relief and drainage patterns and predominant vegetation, along with climate and weather patterns—together with human responses to that environment, as in agricultural, industrial, and other land uses and in settlement and urbanization patterns. Although there was a much earlier teaching of what is now called geography, the academic discipline is largely a 20th-century creation, forming a bridge between the natural and social sciences. The history of geography is the history of thinking about the concepts of environments, places, and spaces. Its content covers an understanding of the physical reality we occupy and our transformations of environments into places that we find more comfortable to inhabit (although many such modifications often have negative long-term impacts). 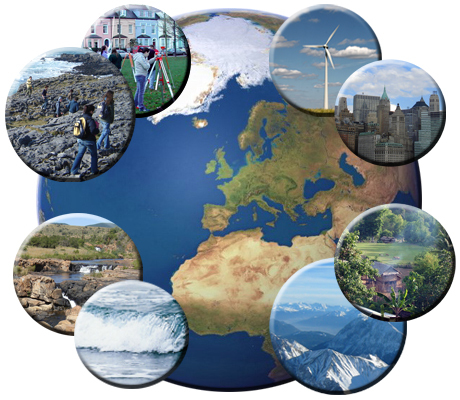 Geography provides insights into major contemporary issues, such as globalization and environmental change, as well as a detailed appreciation of local differences; changes in disciplinary interests and practices reflect those issues.